Two French Entrepreneurs, Karim and Bam landed in San Diego to develop Oxygen Studio. 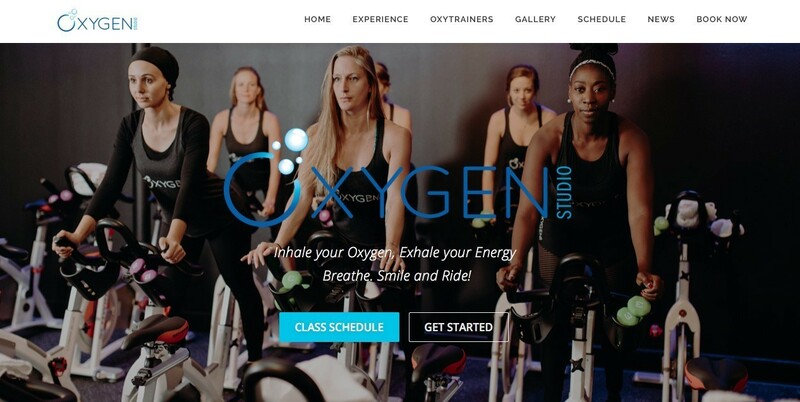 Oxygen is an Indoor Cycling and Yoga studio. They contracted an agency to take care of their digital strategy. That agency convinced them that a Squarespace website was the best solution for them, and with the integration with Zingfit, which is the reservations and CRM they use. Zingfit is the leader for Indoor Cycling applications. After a few months, they realized that what got built, was not working for “them”. They consulted with The X Concept’s CEO, Charles Oreve. Business owners like having complete control of their solutions and this is what we bring to them. Something visually pleasing, with all the features they need, but simplifying the offer by removing everything they do not need, and they won’t be able to maintain. Fast forward a couple weeks after original meeting, Oxygen Studio now has a new look and feel, you can see throughout this post, new features, and is now maximizing its presence on social media organically. “Charles did an amazing job on the website for our new indoor cycling studio! In such a short time, he was able to create a website for Oxygen Studio with a new look and feel including new features. With The X Concept’s help, we have also been able to maximize our presence on social media organically as well. Follow Oxygen Studio on Facebook, Instagram.